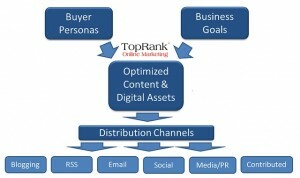 Why Do You Need Internet Marketing Strategies? With more and more people turning to the internet for solutions to their problems, it is becoming ever more vital for businesses, whatever they may be, to have some form of online presence. Twenty years ago, Yellow Pages used to be the first place people turned to for an expert to provide a solution. Nowadays, most people turn to the internet and most specifically, to Google. Google is the new Yellow Pages and it is so important for any business serious of succeeding in this climate to have good Internet marketing strategies. If you're not convinced yet, think about the fact that even the world of the internet is changing. Within a year, most internet users will actually be mobile based, whether it is via their cell phone, their tablet or even their eBook reader! And these people want answers now. To create a successful internet marketing strategy, the business owner must sit down and firstly align his website to what his business actually is. You'd be surprised to see how many businesses that have websites don't actually match up very well. Many business sites are more geared towards their employees rather than their customers! Naturally, the website must communicate and solve the problem people are searching for answers for. The text on the page must be captivating, because a site will lose its visitor within 4 seconds of arrival. So good writing skills are required for this, if the business owner can't do it, then pay someone who can. Thirdly, it is important to sign up to various places such as Google places, Yelp and Manta and set up business profiles along with links to the website. A back linking strategy is also essential to a successful campaign and this really would form the bulk of the work once the site is set up. It is time consuming and also a lot to learn and it would probably be in the business owner's best interest to either employ an expert, or to use an SEO company. It is important to remember that a website is just one part of the overall marketing plan of the business. Incorporate the web site address on any literature available. Business cards, letter heads, brochures are all basic areas where further marketing of the site can be achieved, and then through to sponsoring local organizations, basically any way that the business name and site can be displayed, then do it. Internet marketing strategies can be as simple or as complicated as need be. A smaller business would not so much worry too much about some of the more advanced techniques, it probably wouldn't be worth his investment on the return he would get, but for larger businesses and companies, it would become essential to have a good plan in place and to stick to it. Internet marketing can be a very slow process and it can look like nothing happens for months and all of a sudden all the work comes together and Google gives it the big push into the top three on page 1 of the organic search results.